Inch by Inch, Row by Row, donor support helps the new Lower School garden grow! 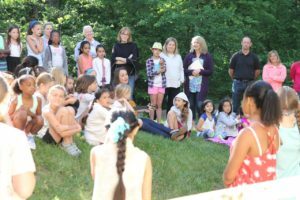 A very special ceremony was held on June 10 as the Stuart Country Day School gathered by the new outdoor garden which sits between Millie’s Garden and the STEM wing. The girls welcomed special guests, Maureen and Patrick McLaughlin, and Stuart alumna Robin Roman ’75. See photos from the ceremony. 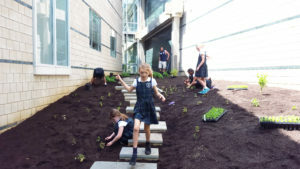 Thanks to generous support from Robin Roman ’75 and the Rita L. Conlon and Alice McLaughlin Innovation Fund, the girls in the Lower School have an incredible outdoor space to learn and make their garden grow. 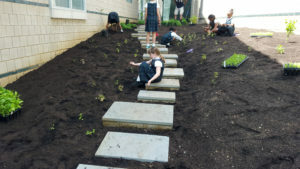 Since late May, students in grades K–4 have participated in planting over 2000 native plants in the garden while the class of 2024 designed and made a stepping stone that was placed in the garden during the dedication. 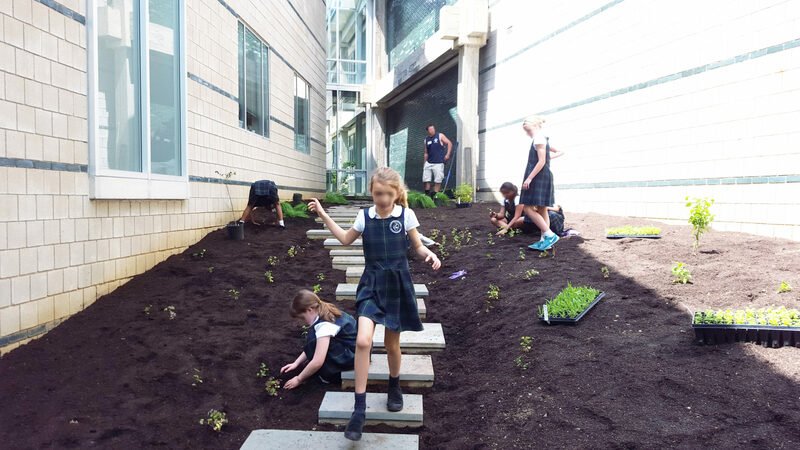 In a new annual tradition, the fourth grade classes will design and place a stone in the garden as a parting gift to the Lower School. As the garden grows inch by inch, this outdoor space will enhance the STEM, literacy, humanities and arts programs in Stuart’s Lower School and Early Childhood. Students will participate in project-based learning that will facilitate inquiry-based activities in a natural setting. 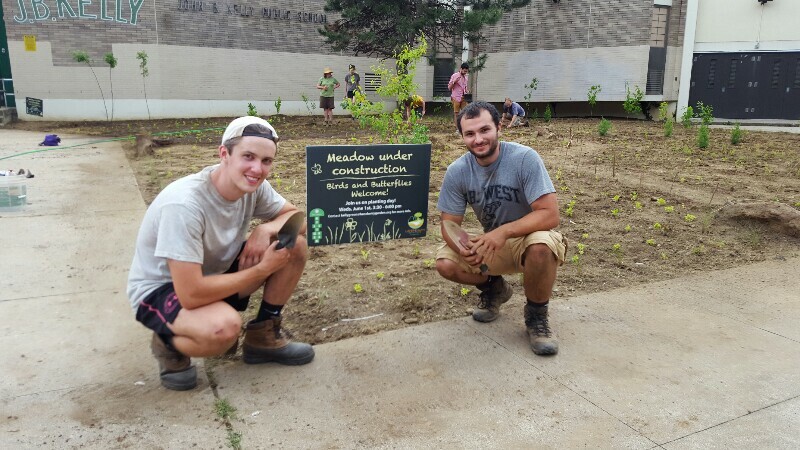 Their learning will emphasize the importance of sustainable gardening and maintaining a school wildlife habitat. At the ceremony, the girls in grades 3 and 4 shared personal poems and prayers about nature, and everyone sang songs to celebrate. We look forward to seeing the garden flourish and the beautiful wildlife it will attract. Soon the garden will be full of fluttering butterflies, buzzing bees, digging worms, chirping birds and curious Lower School girls! ArcheWild provided the detailed design, construction services, and the plant material for the project. 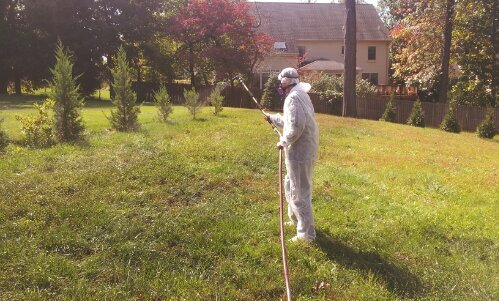 Substantial soil modification was required to grow the species chosen to support the curriculum priorities of the Stuart Country Day School STEM program. Stepping stone design and construction provided by ArcheWild project manager, Cameron McIntosh, B.F.A. with concentrations in Ceramics and 3D design, to be tightly consistent with the original Jean Labatut school design.